If you are experiencing swelling, a toothache, or sensitivity to hot or cold beverages, it may be due to infection. The pulp or soft tissue within your teeth can become infected or damaged as a result of trauma or untreated decay. A root canal may be performed to save the tooth from requiring an extraction by removing infection and restoring its structure. Dr. Maurice Benjamin uses advanced techniques to perform virtually painless root canal therapy at his Brooklyn and Manhattan, New York, offices. Contact our practice today to make an appointment with All American Smile Dental Studios. Why is a Root Canal Required? When a tooth is damaged from decay, trauma, or an infection that is allowed to develop, the nerve tissue and pulp begins to break down. This can provide ideal conditions for bacteria to spread and multiply, which can lead to more serious infections, abscesses, and bone loss around the tooth. If left untreated, the tooth can become so damaged that it needs to be extracted to save the health of your smile. It is important to note that infection can also progress free of symptoms. During routine exams, screening methods like x-rays allow your doctor to check for signs of infection. At All American Smile Dental Studios in New York, Dr. Davis ensures that root canal therapy is as comfortable as possible. Before your overall oral health becomes compromised, a root canal procedure can often be performed to save your tooth and preserve the function and aesthetics of your smile. 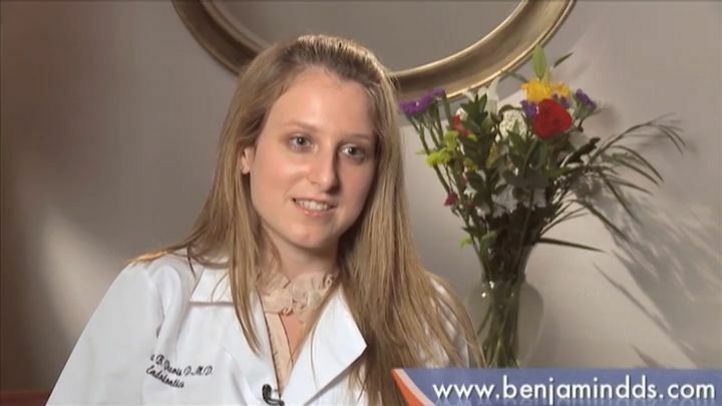 In the past, root canals had a reputation for being painful, but Dr. Benjamin uses advanced techniques to minimize any discomfort. In fact, some patients report a root canal is no more painful than receiving a filling. The procedure is performed with a local anesthetic to ensure that you will remain comfortable during treatment. For patients who are especially anxious, we also offer sedation. 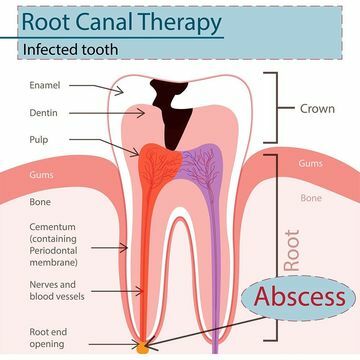 The root canal procedure can alleviate any pain or discomfort that you may be experiencing and restore your oral health. Your doctor will begin by creating a small hole to allow access to the infected pulp. He will carefully remove the nerve tissue, pulp, and any signs of decay or infection before cleaning and packing the tooth with a soft rubber-like substance. The tooth will then be sealed with a temporary restoration. Most cases require a dental crown to preserve the structure of the tooth, which we can custom design to blend seamlessly into your smile. If you require a permanent crown, it will be placed during a second appointment. Your teeth and gums may feel sensitive for the first few days following treatment, but this can typically be alleviated with over-the-counter pain medications. Dr. Benjamin will give you specific instructions for care following treatment, but in general, you can brush and floss as you normally would. Most patients can return to their normal routines the day after their procedure, without any modifications to their daily habits. If you require a dental crown after your procedure, however, you may be advised to avoid chewing with the temporary restoration until your permanent crown is ready. If you are experiencing pain or discomfort, root canal therapy can save your tooth before any lasting damage can develop and spread. To learn whether or not a root canal is the best option for you, please contact our practice and schedule a consultation.